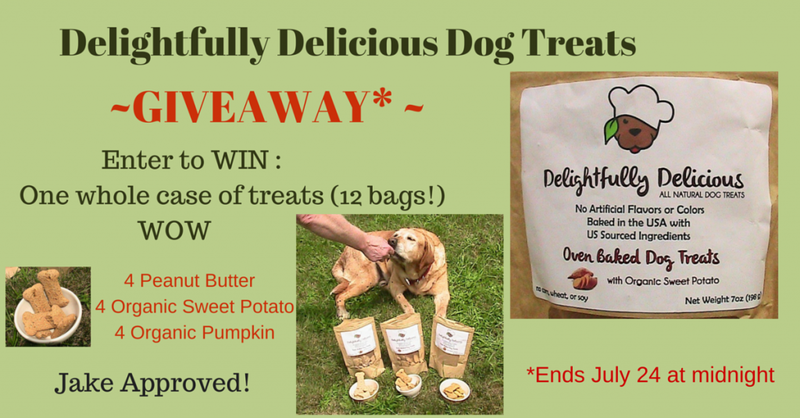 I received 3 bags of Delightfully Delicious All Natural Dog Treats in order to review the product and offer a generous giveaway. I am not being compensated in any other form for helping spread the word about these dog treats. Delightfully Delicious is not responsible for the content of this article and the opinions are my own (and Jake’s too, of course). the best and safest ingredients for our friends. 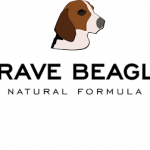 We use all natural ingredients; never any by-products, artificial preservatives, or flavors. All ingredients are US-sourced and the treats are made in their very own bakery. Delightfully Delicious mixes, bakes, packages and ships from their own facility. Their treats contain no corn, wheat or soy. 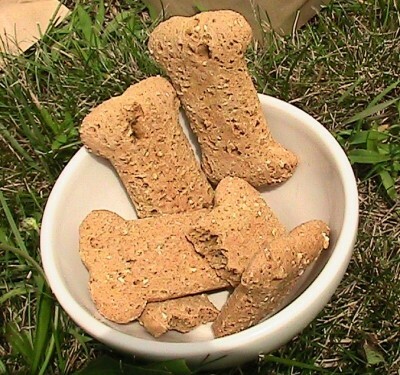 The treats are crunchy (but not too hard on sensitive teeth), dog bone-shaped, and have a nice homemade appearance to them. They’re easy to break off into smaller pieces if you want to limit the amount your pooch gets. These would be great for dog training! Crude Protein …. 13.5% Min. Crude Fat ……….. 6.57% Min. Crude Fiber …….. 1.92% Max. 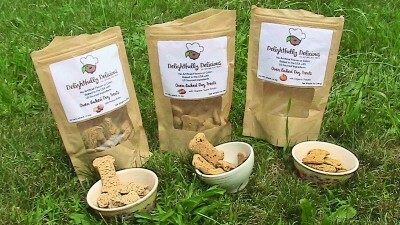 The Delightfully Delicious Dog Treats come in sturdy brown paper bags, which are practicle, simple, and easy to open. They have a ziplock closure and a see-through window on the front so you can see how many are left, giving you the heads up that you need to order more when you need them. A lot of you know Jake, our rescue dog. He’s 14 now and quite pampered. He loves doing dog treat reviews, and I can always tell for sure whether he likes them or not. Believe it or not, Jake HAS met treats he didn’t like! Here’s Jake, patiently waiting for me to get over there and get this show on the road! I think I like this. Wait … let me try another one, just to be sure! 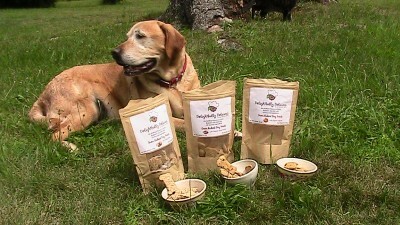 You can purchase “Delightfully Delicious All Natural Dog Treats“ HERE so your own best friend(s) can have some too. They’ll be … um … “delighted!” I promise! To find out what else Delightfully Delicious has to offer, check out their shop. Aside from these tasty dog treats, they also offer mugs, dog quote coasters, and dog photo coasters. Very nice! Thank you for reading my review and entering the giveaway. 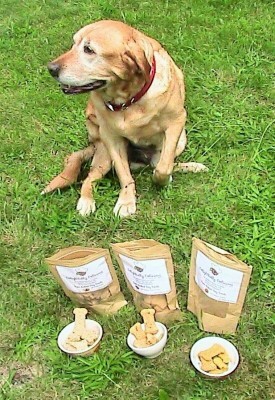 MOlly would love to try these treats. She is very picky! The frosted treats look great. Im in the UK so if Im not supposed to enter the competition sorry just sicount my entry. its fun to see treats with pumpkin and peanut butter because thats only just catching on over her although I bake a lot with it and use peanut butter in the dogs kongs. Yes, peanut butter is popular in dog kongs here too. One of my readers told me today that she puts mashed banana, peanut butter and yogurt in a kong, and then freezes it overnight. This occupies her dog for several hours. Sound like a good idea. Healthy too! The Organic Pumpkin treats look great! Thanks for entering the giveaway, DJ. Good luck! For my 12 year old German Shepherd/Pitbull mix, Toby, peanut butter is always the winner as that is his go to flavor for snacks. 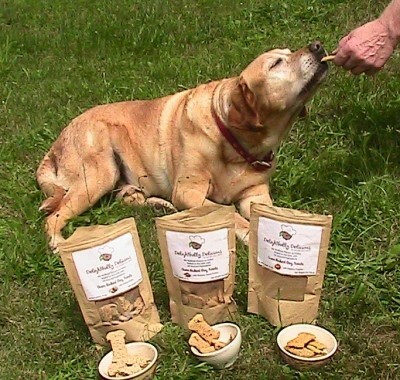 I love that the treats are all natural! Thanks for sharing, I look forward to more tasty reviews from Jack. 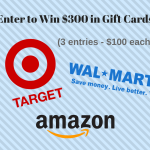 Hi, I would love to enter your contest! Thanks for entering the giveaway, Heather! Good luck. Oh, and thanks for visiting my site today too. Your first time, I suspect. 🙂 Talk soon. I would like my dogs to try the hand frosted treats. I am interested in try the box of 6 hand frosted treats. Mickey really loves those kind of biscuit treats. He likes to lick the frosting off first. Lol. The hand frosted treats are so cute! 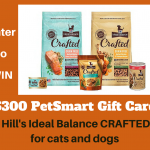 Thanks for entering the dog treat giveaway. Good luck! Knowing Tonya, I think she would like Peanut Butter. Peanut butter paws down for my pets and I liked the pet quote coasters on the site. My Jake likes the peanut butter treats too, paws down. 🙂 Thanks for entering the giveaway, and good luck! Oh, and welcome to my site. I think my dogs would love these! The Peanut butter ones sound delish. My dogs go crazy for Peanut butter! I think the sweet potato treats would be a big hit with my two mutts. Thanks for your input about what type of animal posts interest you, Sandy. I do happen to write a lot about dogs. Thanks for entering the giveaway. Good luck. i love the coffee mug, b/c my gals love to be petted constantly and i drink a lot of coffee. . I love the coffee mug too. It would go along perfectly with my morning ritual of sitting outside with my dog while I get my caffeine fix. 🙂 Good luck with the giveaway. organic pumpkin but i think my 3 gals would rather have peanut butter but i think the pumpkin is better for them. The hand frosted treats are something my dogs would love! Good luck LeAnn! 🙂 Thanks for entering the giveaway. My pack would love the Hand Frosted Treats. Good luck to you and your pack, Linda! Thanks for entering the giveaway. My dog would also like the box of 6 hand frosted treats. I especially like the treat with the paw prints on it. Thanks for entering the giveaway, Daniel. Good luck! Im kinda at a toss up between the coasters and the mug, wish they could put the photo on the mug. My kids would like the frosted treats. I like the coasters and the mug too. I’d probably choose the mug, because I wouldn’t want to ruin the coasters. I’d have to have them framed, or something. 🙂 Thanks for entering, and good luck to you and your kids. These do look really yummy! Great flavors and I like that they’re sourced & made in the US in on facility. Cathy Armato recently posted…Can I Potty On This? Love & Biscuits. I love that. 🙂 Thanks for entering the giveaway, Cathy. 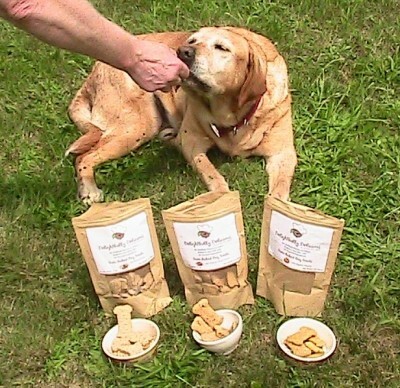 Our Jake loves these treats. Off to read your “Can I Potty on This?” now. Take care. I know it’s cheesy, but the dog quote coaster set is so cute! My babies would LOVE Hand Frosted treats!! The Hand Frosted treats seems to be quite popular. My Jake thinks they look scrumptious too! Good luck, Deborah. I should select the frosted bones, but that coffee mug is adorable! I love the coffee mug too, and think I’d just have to go for that. Jake has enough treats. lol Good luck! 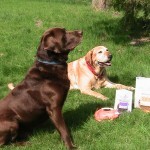 The frosted dog treats look delish! The look and sound delicious! Our Jake seems to think so. Good luck! The treats would be the kids favorite. I really like the custom photo coasters. Those treats sure sound tasty, personally we liked the hand frosted treats, but the woman liked the large coffee mug. They all appeal to me. I have a dog with a poultry and egg allergy and finding treats that don’t upset him is difficult. I like the Peanut Butter treats. Oh, I imagine it would be difficult to find dog treats for a dog with poultry and egg allergies. These Delightfully Delicious treats would be good for him, I’m sure. Thanks for entering the giveaway, Heather. Good luck. I would love this! Thanks for the chance! Peanut butter treats! The hand frosted treats look yummy, and the coasters are cute too! I like the coasters too, Mallory. Thanks for entering the giveaway. Good luck. My dog Mike would love the Organic Sweet Potato flavor I am sure. Jake seems to think so! Posts about ALL kinds of animals interest me, just as much! I LOVE love love ALL animals. The only posts I don’t like are about spiders and centipedes. Agghhhh!! I also like the box of hand frosted treats too! Excellent! 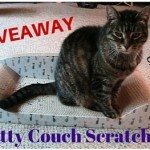 Thanks for entering the giveaway, Yvonne! Good luck. Thanks! 🙂 It’s FUN to even have a chance. Thanks for the awesome giveaway.